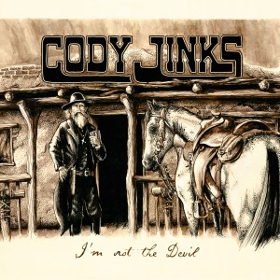 You’ll be hard pressed to find another country album for the rest of 2016 as heavily anticipated by fans in the know as Cody Jinks’ I’m Not The Devil. Due out August 12th, the reigning Saving Country Music Song of the Year winner feels poised for a breakout with this one, and the snippets released from the record so far have folks salivating for the whole thing. Not for the faint of heart, I’m Not The Devil is a hard country affair, full of inspiration from Cody’s musical heroes such as Johnny Cash, Waylon Jennings, and Merle Haggard. But if only in theme, there’s a bit of influence from Cody’s heavy metal past as well, with dark and heavy hues acting as threads running through each song, and binding the album together through the shared narrative of the Apocalypse. “It’s a pretty scary time,” Jinks says. “There are some evil people running things in the world.” And just like all great artists from the past, Cody Jinks mirrors the mood of his time through his music. 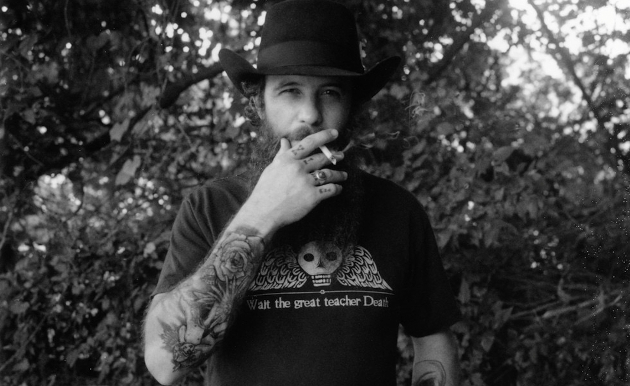 Speaking of being out on the road and not slowing down, Cody Jinks will be out on the road starting August 5th with regular touring buddy Whitey Morgan for a 25-date stint, carrying Cody through the release of I’m Not The Devil. True country music is not dead, it’s just been hiding in the hearts of artists like Cody Jinks, waiting to be unleashed, and waiting to regain its rightful place through a wave of country resurgence spearheaded by Jinks and other independent-minded artists. If the new album is half as good as Adobe Sessions, I’ll be a happy listener. Cody is the real deal. Now that I’m home from work, I can actually listen. Killer stuff. Great tune! Can’t wait for the new album. Cody has become one of my favorites for sure. Many artists would fail to ever top “David.” Cody Jinks just gets to show us a boatload of other great songs that he wrote. That’s the mark of a truly great artist, when what seems to be their best work doesn’t overshadow everything else. There is no album this year I am waiting more anxiously for. With Jamey Johnson on a seemingly long hiatus, there is no one out there making better music than Cody right now. Thanks for the review and song. I was already a gigantic fan of Cody’s sound. This is definitely a little different than anything he’s done before. And holy hell is this great. I’ve got tix to see him and Whitey. Love Whitey, but really hoped a Cody headline show. Saw Cody and Whitey last fall and the show was incredible. My girlfriend doesn’t seek out country music regularly, particularly traditional country, but she had a great time and loved both performers. It should be a great time. And there we go . Three chords and the ( rockin’ ) truth . SUNG .. not rapped . A drummer …not a machine. Couple of guitars ….not synths .Great energy …honest energy and oh yeah ….and a solid lyric . And did I mention you can dance to it ? What was the last mainstream country song you saw people actually dancing to ? And I don’t mean females flailing and fawning around the front of a stage waving their hands . It ain’t rocket science , Nashville ….but you seem to wanna make it that . Cody and Whitey are the top real country boys out there at the moment. Can’t wait for the album. Cheers for the review! Thanks for posting. This song is amazing, same type of feel as TROUBLE by Travis Tritt which you can’t go wrong with. Need more guys like Cody Jinks! Already pre-ordered the album. Something I only do for a handful of artists and albums each year as I generally rely on paid streaming for the rest. Can’t wait for this album, it’s going to be one of the best of the year I think. If the album’s as good as these first two tracks it could be the best album of the year. Love Isbell but his clones are starting to wear me out – let’s have some more music that MOVES! Somehow I’ve missed out on this guy…until now. “Adobe Sessions” was purchased immediately from Amazon. Good good stuff, can’t wait for this new one to come out now. His older stuff is good, too. Live, he’s fantastic, and one hell of a nice guy. Saw him and Whitey last year at a small bar, shared a couple beers with him. Define “new” or “basic”? Have you actually dug into Jinks song catalogue, beyond the song posted above? Jinks’s past two releases — “I’m Not the Devil” and this one” — are downright superb, and that’s honestly not a word I would’ve ever expected to use in describing him. I’ve never found anything remarkable in his style; the songwriting has stood out as “good”, the guitar work ranged from “appropriate” to “pleasant”, the vocals were “satisfying” for their depth and precision, but rarely dynamic enough to class him with the Sturgills and Stapletons — artists whose skillful use of volume and accentuation can enervate even the sleepiest songs. That’s not the same artist I hear in these two forerunners to “I’m Not the Devil”. I’ll be eagerly awaiting it. Really good musicians on this tune…. , great band. yeah that is a very catchy tune. Thought that was Ricky Van Shelton at first. Nice! Cody Jinks is incredible. The song “David” is simply a masterpiece. I’M A BRADBURY STORY SPREADING LIKE THE FIRES OF HELL! Hell of a tune. Hell of a singer. Hell of a lot of great country music.